In this spoken English lesson you will learn how to use the vocabulary ‘Audacity’ as a noun, ‘Audacious’ as an adjective and ‘Audaciously’ as an adverb. 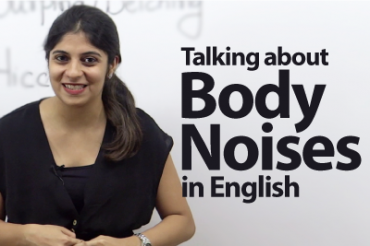 We hope this spoken English lesson would help you learn new English conversation vocabulary to improve your spoken English and English conversation skills. In your life, you may have taken a bold decision or done something that is very daring. Knowing the dreadful consequence of your action never stopped you from doing them. The word ‘audacity’ basically means willingness to do bold things without any shame or fear. When you decide to do something that is extremely daring without worrying about its outcome, you have the audacity to do it. Your action may be perceived as bold or rude by others, but it makes no difference to you. If you do something that is disrespectful or ill-mannered, it means you do it audaciously. Being audacious is a confident and a daring quality that is often perceived as shocking or rude. So if you have the audacity, then you’re a daring and a reckless person. The word ‘audacity’ is a noun as it expresses the feeling of being fearless or the behavior of being daring. ‘Audacious’ is an adjective as it describes a person of being daring or ill mannered. ‘Audaciously’ is an adverb as it describes an action of being done in a daring or a fearless manner. For example, you are in a meeting at work. Your manager criticizes you boldly and rudely in front of the entire meeting. He is rash and has no courtesy while speaking to you. That means he comments audaciously or his speaking is very audacious. Example 01 : To click candid pictures, the wild life photographer was audacious enough to enter the dense forest alone. Example 02: Posed with a challenge by his friends, James showed his audacity by proposing the beautiful lady sitting alone at the café. Example 03: Lara’s sense of dressing to work is unprofessional, bold and audacious. Example 04: Despite being extremely obese, Michelle doesn’t care about her health and continues to eat audaciously. Example 05: Sally has the audacity to make threatening calls to her neighbor for their noisy and unruly behavior. Example 06: Jason wins all the chess games he plays as he makes audacious moves while playing. Example 07: With unfavorable weather conditions and likeliness of skidding, the pilot took the audacious decision of landing. Example 08: To make quick money, the stock investor is audacious and willing to take big risks while investing. Example 09: The student had the audacity to keep looking at her watch while her professor was teaching in class. Example 10: A stuntman is always subject to injury because of the audacious stunts they perform. Are you adventurous and audacious in your behavior? 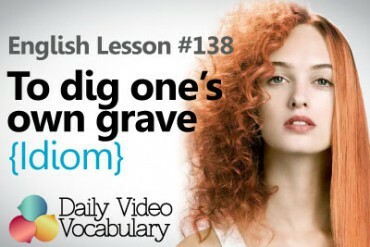 We hope this spoken English lesson is useful to you. 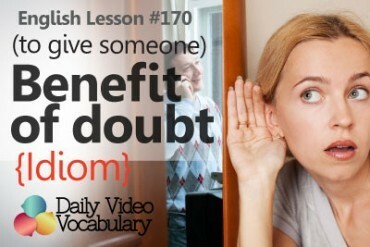 Don’t forget to subscribe to our free spoken English lessons to improve your English conversation. Next Next post: How to answer the question – What do you do?